This package contains one 2 inch brayer and smoothing tool. Imported. 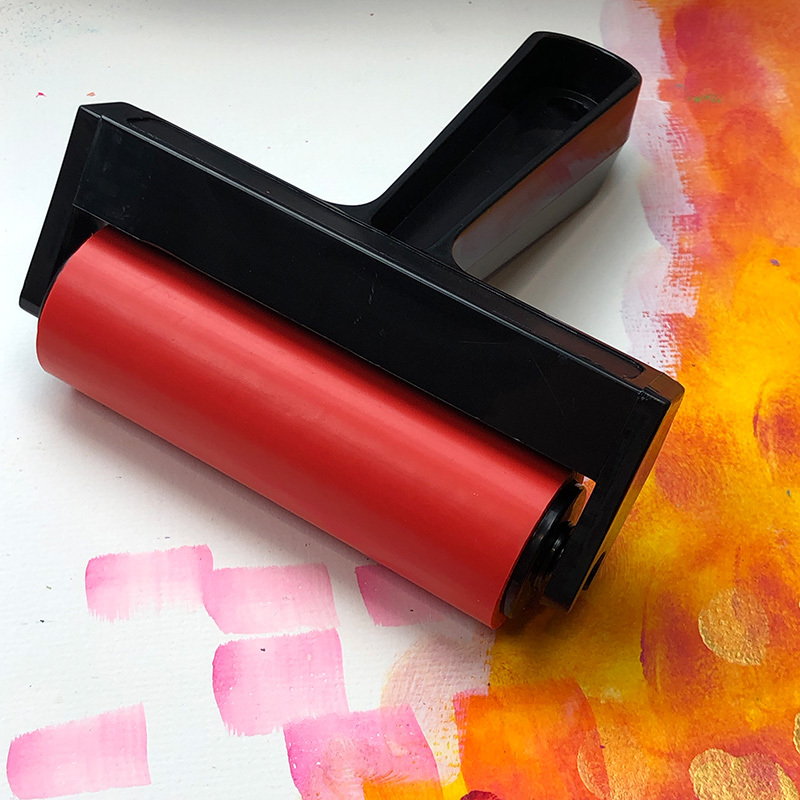 Brayer smooths paper, fabric and other materials onto surface areas. Providing the right amount of pressure will eliminate air bubbles and minimize mess. Features a durable rubber roller that is removable and washable. 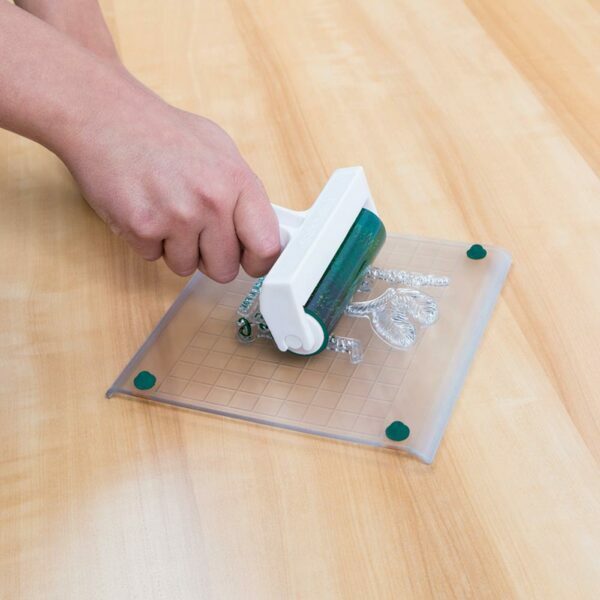 Squeegee presses paper, fabric and other items into hard-to-reach corners. 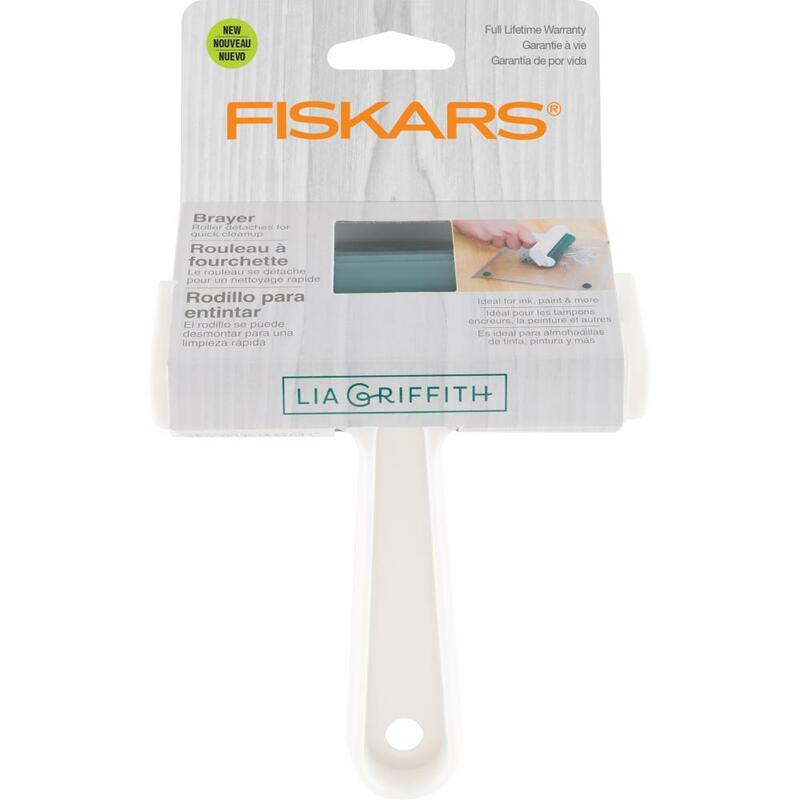 The 4.5″ Brayer smooths paper, fabric and other materials onto surface areas. Providing the right amount of pressure will elimate air bubbles and minimise mess. 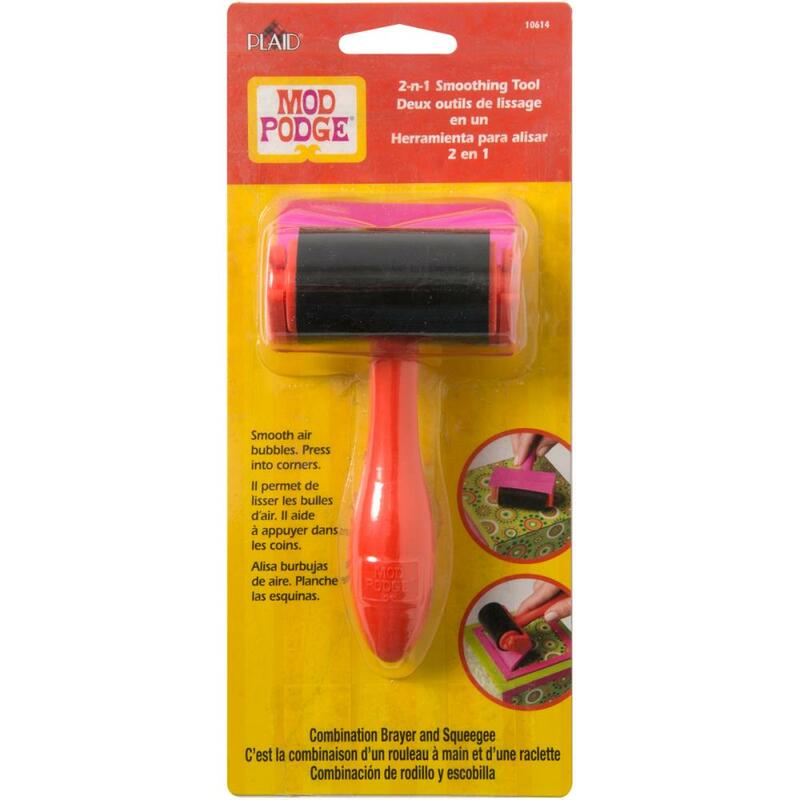 Features a durable rubber roller that is removable and washable. 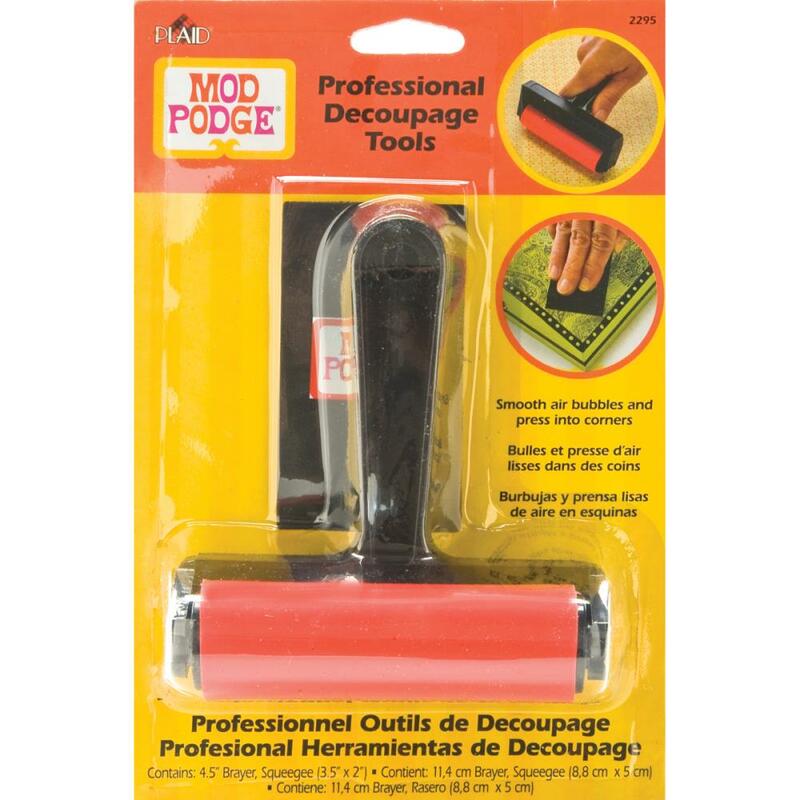 Squeegee presses paper, fabric an other items into hard to reach corners. This tool is not dishwasher safe. 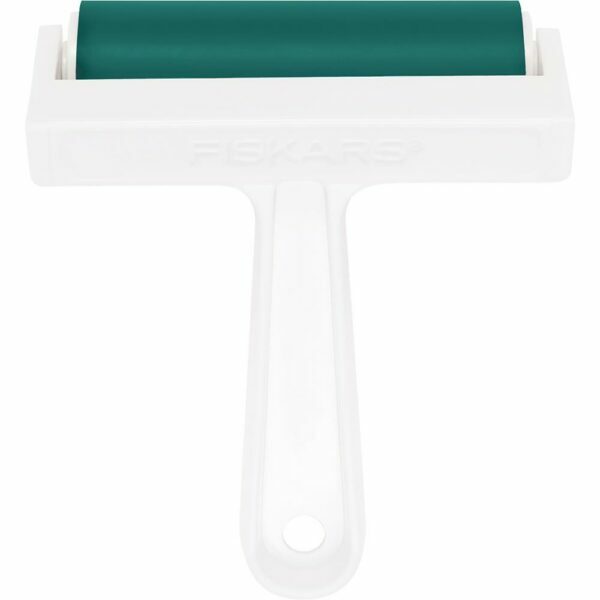 Package includes one brayer with a 3.75 inch roller. Designer: Lia Griffith. Imported. 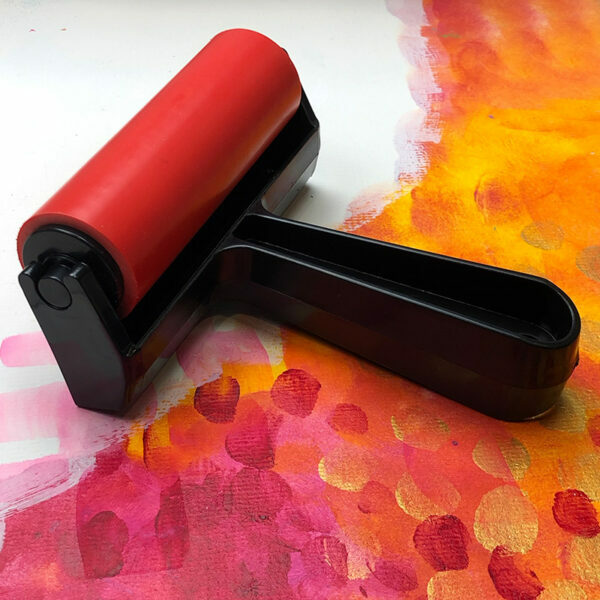 Ink large stamps or surfaces quickly with the brayer featuring a detachable roller for easy cleaning. The stylish color and design accents are by internationally renowned DIY designer and maker, Lia Griffith. The reliable brayer is ideal for applying ink, blending backgrounds, painting stripes and more. The hard rubber roller can be detached from its plastic handle for easy cleaning after use. A great addition to your creative toolkit for stamping, making prints, scrapbooking, crafting or creating home decor. SKU: N/A. Categories: Supplies, Acrylic Paint, Gelli Plate, Paintbrushes, Studio Essentials. Tags: brayer, paint roller.